Western Sydney University hosted an important diplomatic visit to its Parramatta campus on 29 September 2016. HE Xiaojie Gu, the recently arrived Consul-General of China in Sydney accompanied by Wenqi Niu, Education Counsellor visited the Australia-China Institute for Arts and Culture (ACIAC) and the Whitlam Institute. Professor Jocelyn Chey, Director of the ACIAC, accepted a gift of over 280 books from the Consul-General and gave a tour of the photographic exhibition within the Institute. 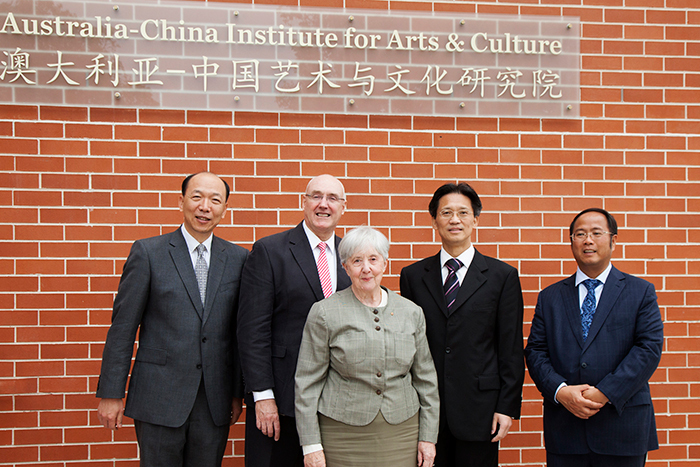 Above (left to right): Mr Niu Wenqi, Education Counsellor; Vice-Chancellor Professor Barney Glover; Professor Jocelyn Chey; His Excellency Mr Xiaojie Gu, Consul-General of People's Republic of China in Sydney; Mr Xiangmo Huang, Yuhu Group. 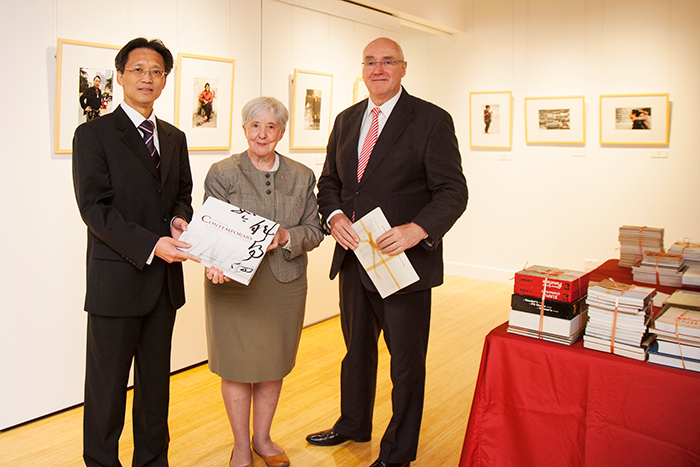 Above: His Excellency Mr Xiaojie Gu, Consul-General of People's Republic of China in Sydney; Professor Jocelyn Chey; Vice-Chancellor Professor Barney Glover.